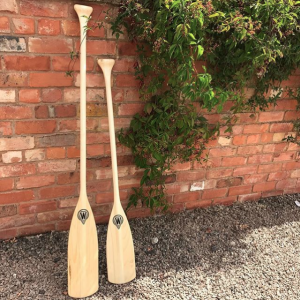 Home » Blog » Wooden Canoes » What size canoe paddle should I use? When it comes to selecting a paddle for your canoe, we usually recommend choosing a paddle that roughly comes up to your collarbone. This isn’t an exact science and if the paddle you’re using is slightly longer or slightly shorter that really doesn’t make much of a difference. 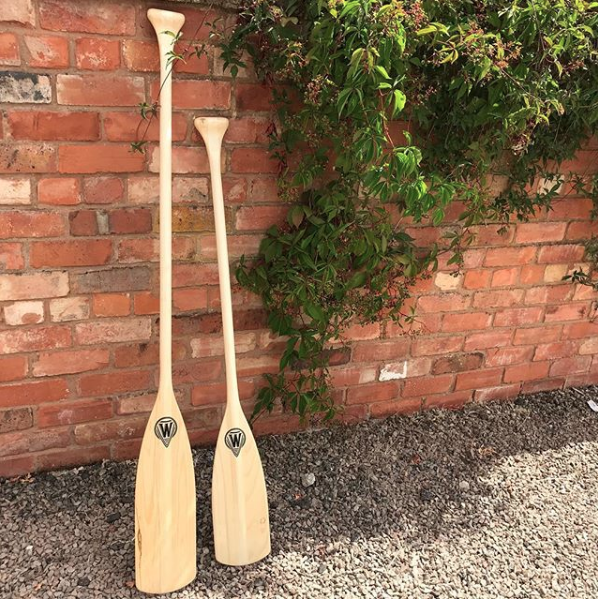 If you’re an average canoer, going on a leisurely paddle, you won’t notice a great deal of difference whether your paddle is a few centimetres longer or shorter. This is why we only sell paddles in two lengths. If you’re roughly 1.65-1.70m tall then opt for our larger paddle; if you’re under that height, then choose the shorter one. It’s not worth spending too much time deliberating! Spend that time planning your next canoe trip instead!